Today I arrived in London. What more can I say. London! You taught me courage. As a boy you encouraged me and Ava to explore the cliffs of Table Mountain. You were never afraid to let us face cold and hunger, knowing that it would only make us strong. You allowed me to try new things, as long as it was done from the conviction of my heart. It was after you had a stroke that I have seen real courage. In so many respects I do what I do because of you. You taught us no matter how dark the moment, the greatest joy we can have is the actual voyage. That if we look carefully, we will find great joy in life despite circumstances. There will always be gardens to tend, mountains to climb and valleys to hike through. What greater glory is there than life itself! Oscar writes that setting up the Cape Town factory is not an easy task. Farmers who form the bulk of our investors find it hard to understand the meat trade. It is not easy! I have received word that David Graaff and his team are also beset by problems. In his mind he is about to loose everything. Their company’s success is grounded in both their close proximity to the abattoir in Cape Town and the Cape market. It has worked well for them and afforded them untold wealth. The old railway station at the foot of Adderley Street is bursting at the seams. Daily commuters between Cape Town and Simons Town increased. The discovery of gold and diamonds in the interior are putting even more pressure on the small terminus. Everybody can see it must be expanded, but on the one side is the Castle of Good Hope and the other side, the sea, leaving only one possible direction of expansion. Rumors are rife that the city of Cape Town intends expropriating the site where Combrinck & Co is located for the expansion. (2) (Simons, P., 2000: 29, 30) Ava tells me that David is in great deal of distress. If this happen, the successful business model of being located in close proximity to the suppliers of the meat and the consumer will be challenged. 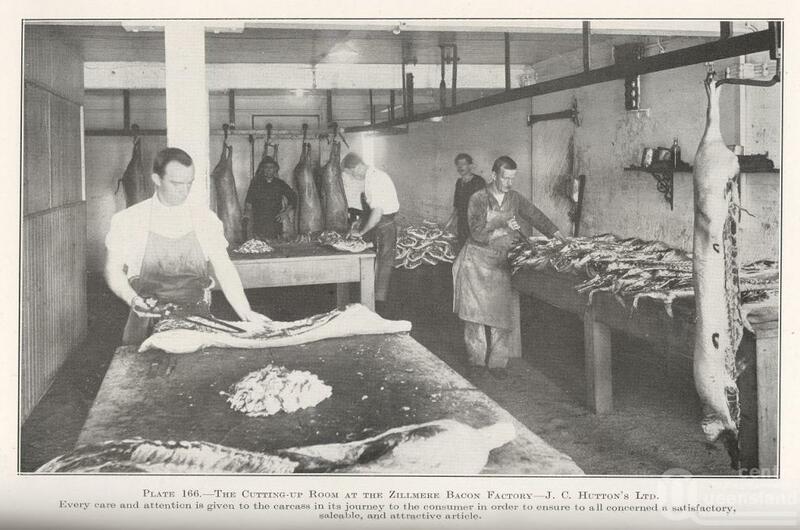 The cutting-up room at the Zillmere Bacon Factory. From Queensland Agricultural Journal, 1925, collection of Fryer Library, UQ. On the steam boat from Denmark I had time to reflect on my Danish adventure. As the days went by, in my mind it was like fog clearing. 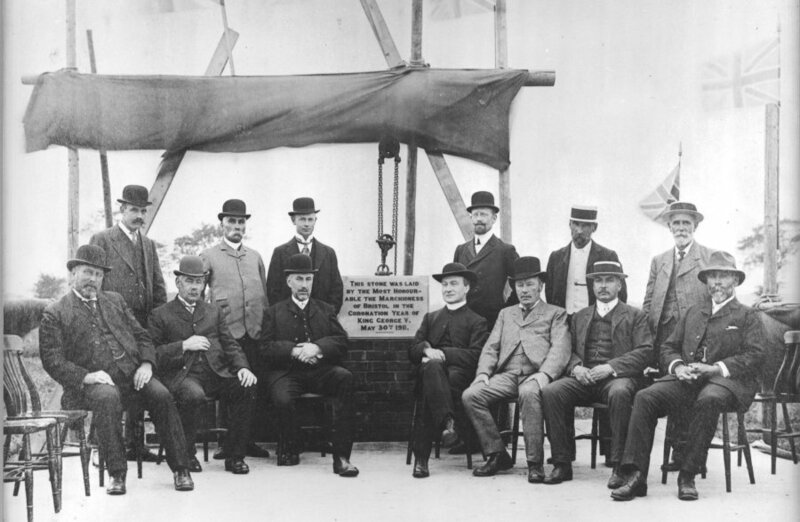 I started to see the progression of curing technology at the heart of bacon processing. In so many respects I am fortunate to be away from Cape Town and the pressures of dealing with investors, buying of land and constructing a suitable site for our bacon curing venture. It allows me the opportunity to focus and learn. On the other hand I miss being there to support Oscar, Willem, James and Roy. The story of curing is becoming clear and in my mind the worry about our business is easily overrun by the excitement of piecing this engaging history together. It helps me understand a subject that I did not know exist a year ago. Reflecting on everything I have learned, I realise that the first form of curing was probably dry-curing with salt only. Humans must have discovered very quickly that certain salt, for example sea salt or bay salt, had the ability to turn pork meat reddish/ pinkish and prevented it from turning brown. I have learned that most salt have some nitrite or nitrate in it. Sea salt have all the minerals and chemical elements of the earth washed into it by rain. Some cultures discovered particular salts, mined from specific locations in dry regions had far more of this “special power”, endowed with a peculiar bitter taste and a greater ability to bring about this reddish/ pinkish colour. This salt came to be known as saltpeter. The first recorded account of pork curing is found from Cato the Elder who wrote in 160 BCE. I discovered this work at the University of Copenhagen. In his Latin work, De Agricultura (On Farming), this Roman statesman and farmer gives an ancient recipe for curing pork. A professor who pointed me to the work speculated that Cato may have imitated a process whereby ham’s are smoked over juniper and beech wood. The process was probably imported by the Roman gourmets from none other than Germania. In Denmark it was Andreas’ dad who taught me about a certain Mr Morgan in England who invented the technique of injecting a liquid brine into the meat. The motivation was to increase the rate of curing in order to reduce the time required for processing. The initial drive was not for high volume, industrial processing plants as Jeppe’s curing plant, but due to the fact that pork meat spoils quickly if the temperature is not consistently low. In temperatures above 20 deg C pork spoils in three days. By injecting a liquid brine into the meat at evenly spaced intervals, the brine would diffuse quicker through the meat. Before I tell you more about Mr Smith, it is also important to state that his interest was the preserving of meat generally for example for long sea voyages and not the curing of meat by farmers. The application of his method of injection however found its way into many homes and factories around the world. It was probably the same Morgan that Smith reports on who by 1871 became a professor in Dublin. He has by this time apparently abandoned his arterial injection method for a more general injection into the muscle, even though this system still prevails in many butcheries across the world. Notice, as a matter of interest that he used the same basic brine mix of salt, water, saltpeter, sugar, monophosphoric acid and spices. This, together with the similarity in surname makes me quite certain that Mr. Morgan and Prof. Morgan is the same person. In itself this is an example in perseverance! 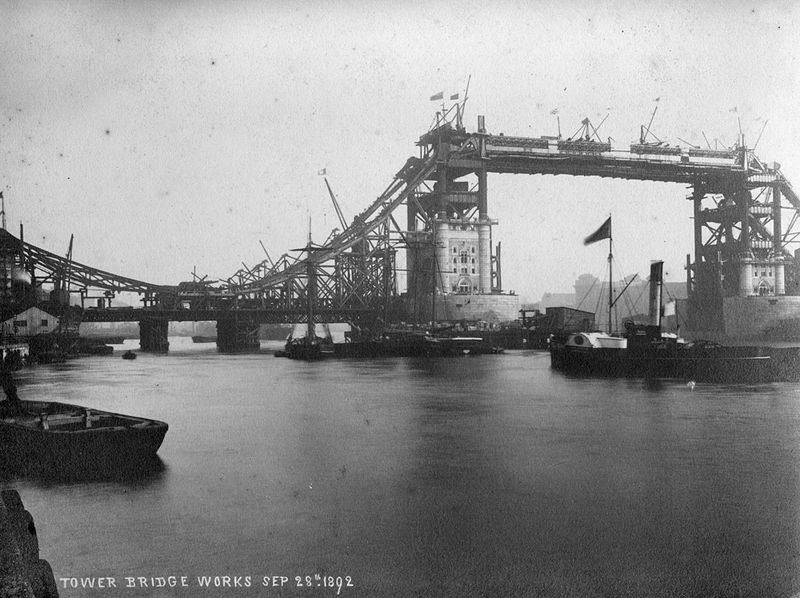 In 1854 his arterial injection was met with skepticism where Yeats reports in 1871 that the Admiralty viewed his improved method with great interest. It is reported today by some bacon curers that they use the dry-curing in conjunction with injection. In this case the meat is injected with approximately 10% saturated brine solution and the injected meat is then treated the usual way in the application of dry-salt-cure. 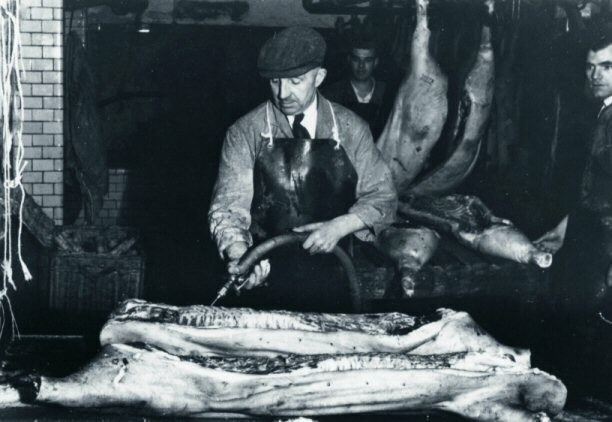 In the 1800’s, this was the main way that the packing plants in the USA exported pork to England as bacon. There are many accounts in newspapers of the time where advice is given to the bacon producers on how to make sure that the meat arrive in England unspoiled. One of the main points was the importance of using good, new wood for the barrels. I red an account at the University of Copenhagen where a 1776 description is given on how barrel pork was produced. Again, notice the brine make up of salt, saltpeter, sugar mixed in water. The role of the sugar was to break the hard salt taste. Barrel pork would remain an important curing method throughout the 1700’s and would make a spectacular return almost a 100 years later when pressure pumps were introduced to inject the brine into the meat through needles. A plank would be run across the barrel opening. The meat is placed on the plank for injection with between one and three needles. The three needles are fed brine through a hand pump that would pump brine directly from the barrel. The barrel is half filled with brine. After the meat has been injected, it is pushed off the plank, to fall into the brine which act as a cover brine. It would remain in the cover brine the prescribed time before it is removed and smoked. I have explained this system in great detail in my previous letter to the children. Dad, the more I think about it, the more I am convinced that the Danes knew well before 1891 bacterial reduction changes nitrate (NO3-) to nitrite (NO2-) in the mother brine. They did not want to use sodium nitrire directly due to the very negative connection attached to sodium nitrite on account of its lethal toxicity. I am convinced they knew this reduction took time and if they use an old brine and only top it up with salt and saltpeter, that they were applying nitrite directly to the curing process. The Danes use wet curing and injection together. They inject a mixture of salt and saltpeter into the muscle and leave the injected muscle in a mother-brine as the cover brine. This actually gives them the best of both worlds. The nitrite which they get from the mother brine would immediately go to work and start curing the meat while the nitrate injected as saltpeter (potassium nitrate) would, over time, be reduced to nitrite and continue to do the curing work even long after is has been removed from the cover-brine. The method is simply ingenious and the only thing more effective would be if we directly add sodium nitrite to the brine in a fixed proportion. At this point sodium nitrite is however very expensive and regarded with great skepticism by the general public who sees it as a drug for heart conditions and as a specialty product used in the dye industry. Dad, I am excited to make my way to Calne, close to the ancient town of Bristol where I will meet the Harris family from C. & T. Harris (Calne) Ltd.
Andreas told me to be prepared to hear quite a few stories on refrigeration and how this invention propelled the Harris family to prominence in the bacon world. They are legend in the bacon world and their bacon is famed as being the best on earth. I can hardly wait. London is big and busy. I have never seen so many people in one place before, but the expectation and excitement of meeting the Harris family very soon is something that I can not put in words. They have achieved legendary status with their Wiltshire cure. I promise to write more when I get to Calne! Love to Mom, Ava and the kids! Take care of yourself, Dad! I miss you a lot! Note 1: My dad started his career as a magistrate in the small highveld town of Evander. I was born in Bethal, not far from there. He was transferred to Vanderbijlpark a year before I went to school and later became chief magistrate in Meyerton, in the Vaal Triangle. He had a stroke when I was 14, leaving him without the ability to read, write or speak. The office in Vandebijlpark graciously allowed him to work as overseer of the cleaning staff. He passed away in 1990 after a car accident. My mom continued to work as clerk of the civil court in Vanderbijlpark for many years. I regularly visited him in the small office in the basement. He would walk with me to a cafe close by to get me a cool-drink. Almost every time I would get a lecture (in his way of speaking and gesturing) about the fact that true happiness is found inside of us, despite our circumstances. I can not remember a time when he did not have a bible open on his desk, learning to read from it. Passages that deals with joy and comfort in the midst of great suffering was underlined in red and blue and highlighted. My dad was an amazing man!